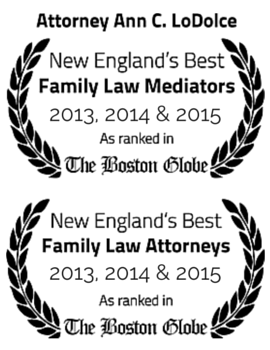 Home Divorce Attorney MA Why is a truthful financial statement to your advantage? Why is a truthful financial statement to your advantage? The courts have a philosophy of open book discovery, which in short means that you need to fully disclose all of your finances and assets to the other side and to the court. It is interesting that during the courtship phase of marriage, in a traditional relationship, the “he” often picks up the tab while the “she” often graciously accepts. During the dissolution of a marriage, that sentiment changes. The reality is that the sooner everyone “fesses up” as to what they have, the sooner the case is in a position to settle and reach an end. The participants in a divorce have had an intermingling of funds and assets to one degree or another. It may be that not every asset will be divided equally or even at all if the terms of a prenuptial agreement governs, but full disclosure is usually mandated just the same. Where there is lack of full disclosure, suspicion and distrust results. Consequently, suspicion and distrust lead to increased legal fees, because attorneys must “dig” to find assets. It is that very suspicion and distrust that gives rise to untold anger, not only in reaction to the exaggerated legal costs, but because parties feel that they may potentially be cheated out of what. in their estimation. is rightfully due. The unwillingness to be forthright fuels concerns about an unjust result. While the lack of disclosure altogether is an issue, the lack of speedy disclosure is equally as troublesome and can be as costly. To receive information in piecemeal is frustrating to the waiting party. Providing current information in an open manner as quickly and as often as possible engenders good will and fuels the belief that the negotiations will be above board and honest. How to Organize Your Divorce Related DocumentsWHAT IS THE TRADITIONAL PROCESS FOR DIVORCE?